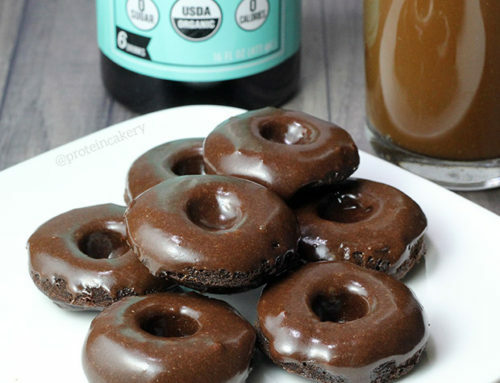 If you haven’t tried making glazed protein donuts, you are missing out! 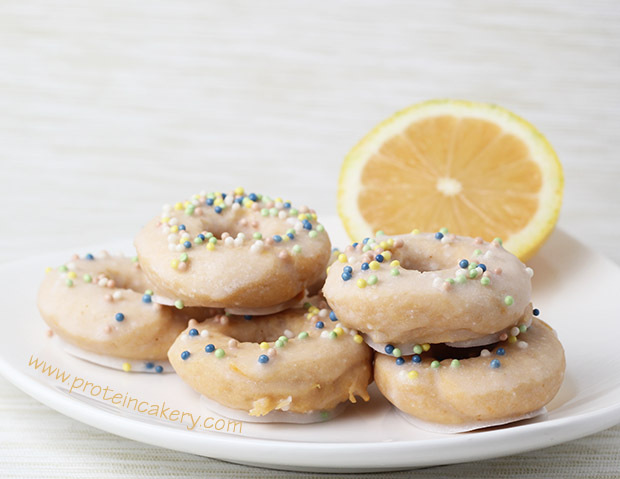 These Pink Lemonade Protein Donuts are delicious! 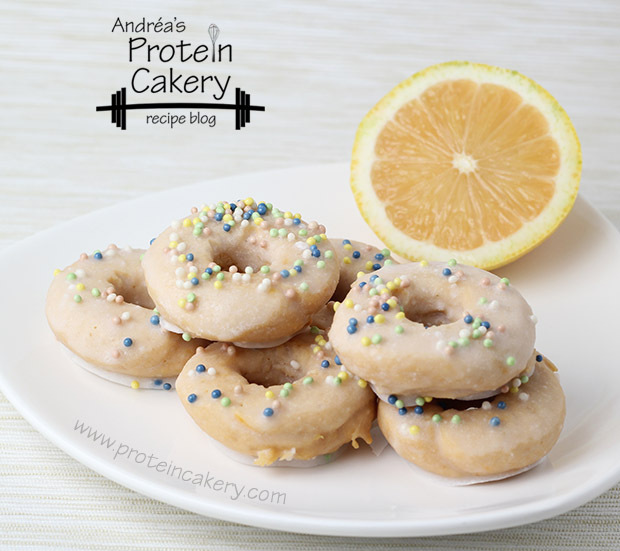 And if lemon isn’t your thing, try my Glazed Protein Donuts! You can use regular lemons for this recipe, but I found some pink lemons and thought I’d give them a try. When I first saw the pink lemons for sale, I immediately thought of pink lemonade. “This is where pink lemonade must have come from!” Nope. There I go, using logic where it doesn’t apply again. It seems the origins of pink lemonade have nothing to do with pink lemons. Nothing to do with berries, either. 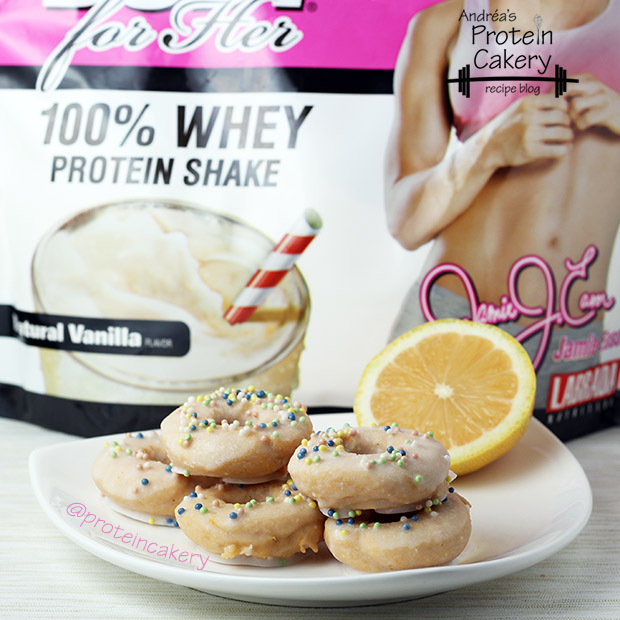 I’ve used Jamie Eason’s vanilla whey protein here, as I did with my Glazed Protein Donuts. 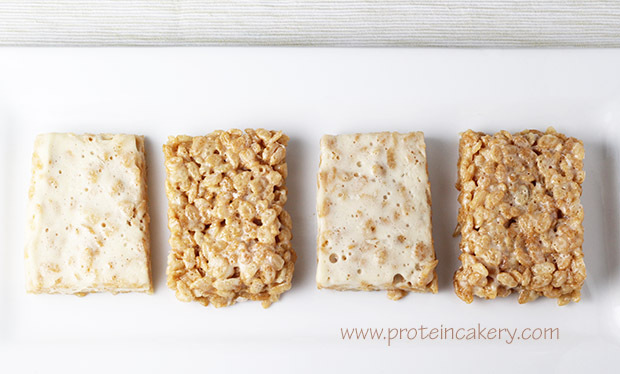 It tastes great, and is perfect as a vanilla cake base for protein cakes. 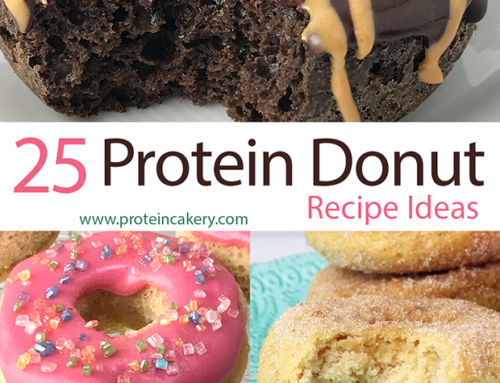 The recipe for these Pink Lemonade Protein Donuts is quick and easy, and these donuts are delicious! 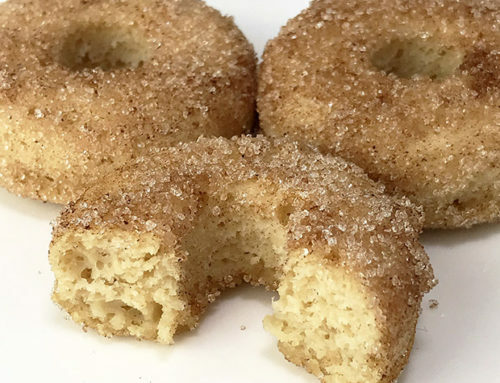 Get yourself a silicone mini-donut pan and give them a try! Oh, and the mixed berry applesauce is delicious, too! I’m not usually an applesauce snack kind of girl, but I love it! 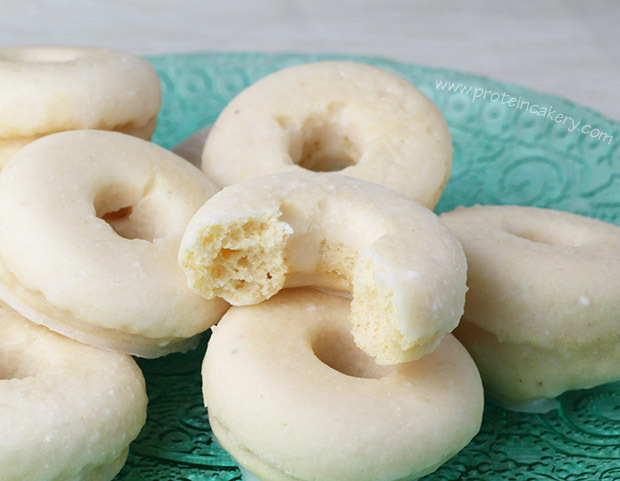 Makes 12 mini-donuts (6 servings). 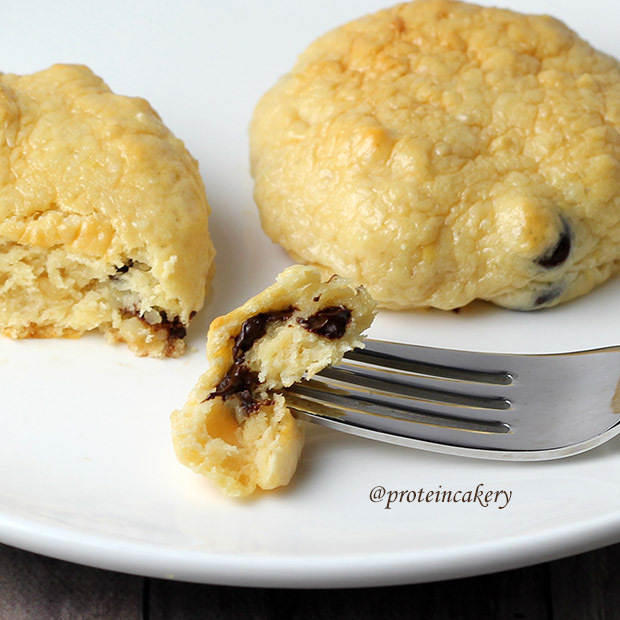 Mix whey protein, coconut flour, and baking powder. Add in applesauce, lemon juice, and lemon zest. Mix well. Spoon or pipe (using a ziplock bag with the corner cut off) batter into silicone mini-donut pan. 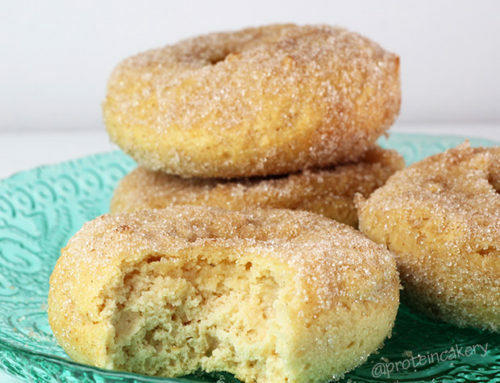 Bake for about 8 minutes, and check to see if the donuts are firm. If not, check every 1-2 minutes and remove from oven as soon as they are firm. 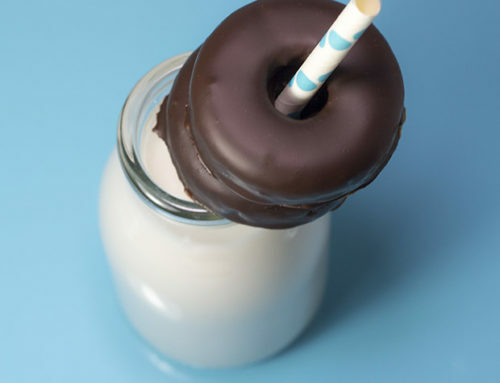 Using a fork, dip and cover each donut with glaze, and place it on a parchment-lined dish. Top with sprinkles before you glaze the next donut. 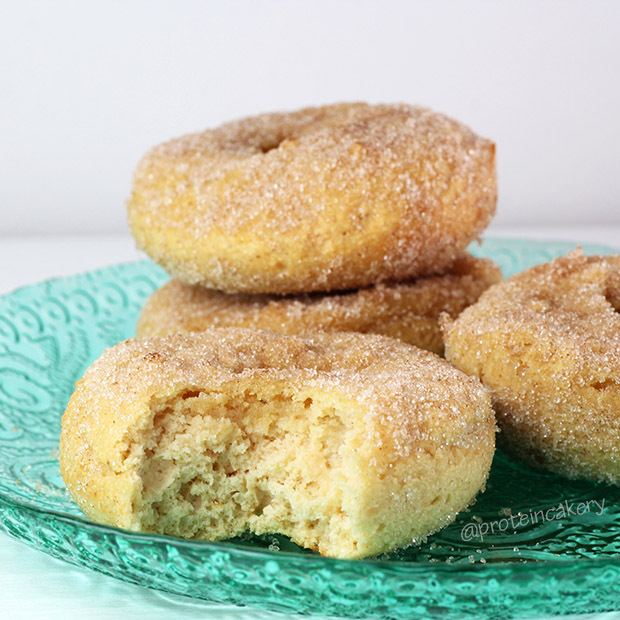 Place donuts in the refrigerator for a few minutes to set. 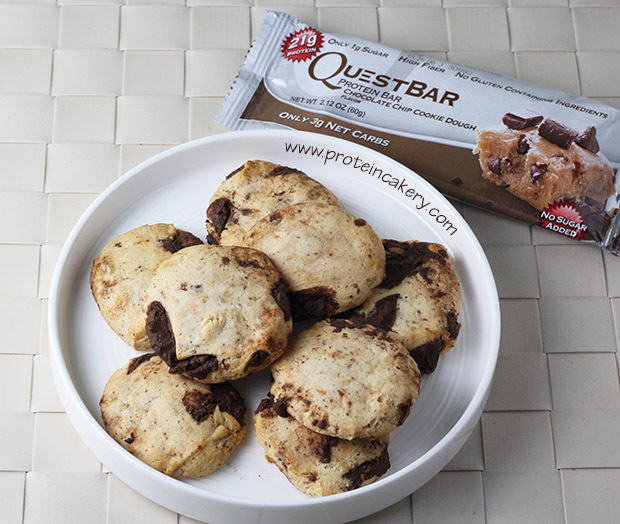 A note about substitutions: because each type of protein powder has a distinct flavor and texture when baked, I would not try substituting different types of protein powders (other than whey) in this recipe. (See my Recipe Basics video for examples of what goes wrong when you use the wrong protein powder.) 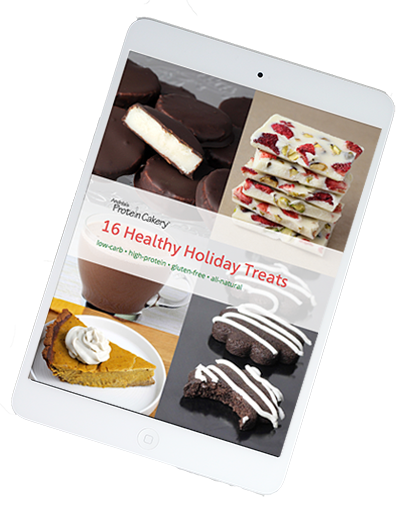 Other sweeteners may replace the confectioner's style erythritol, but they may make the glaze look grainy. Also, I don't typically include the carb count for calorie-free sweeteners. 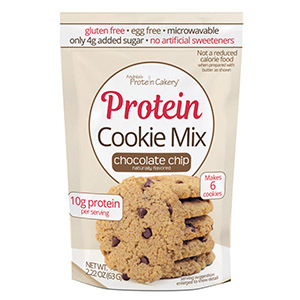 If you include them here for the erythritol, it adds 3g carbs to each serving, but does not change the calories.